The report, an interactive map, and an interactive slide show are available here. The ACLU of Hawaii Open Records Request Archive is here. NEW YORK – Police departments around the country are rapidly expanding their use of automatic license plate readers to track the location of American drivers, but few have meaningful rules in place to protect drivers’ privacy rights, according to documents released today by the American Civil Liberties Union. As a result, the new documents reveal, many departments are keeping innocent people’s location information stored for years or even indefinitely, regardless of whether there is any suspicion of a crime. Last summer, ACLU affiliates in 38 states and Washington filed nearly 600 freedom of information requests asking federal, state, and local agencies how they use the readers. The 26,000 pages of documents produced by the agencies that responded – about half – include training materials, internal memos, and policy statements. 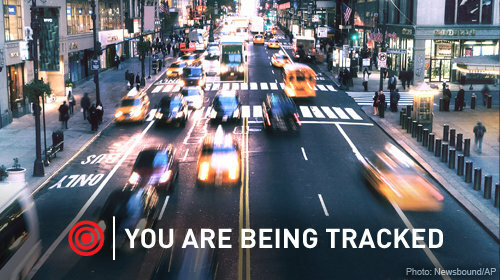 The results and analysis are detailed in an ACLU report released today called “You Are Being Tracked,” which includes charts and policy recommendations. A tiny fraction of the license plate scans are flagged as “hits.” For example, in Maryland, for every million plates read, only 47 (0.005 percent) were potentially associated with a stolen car or a person wanted for a serious crime. Yet, the documents show that many police departments are storing – for long periods of time – huge numbers of records on scanned plates that do not return hits. For example, police in Jersey City, N.J., recorded 2.1 million plate reads last year. As of August 2012, Grapevine, Texas, had 2 million plate reads stored and Milpitas, Calif., had 4.7 million. The documents show that policies on how long police keep this data vary widely. Some departments delete records within days or weeks, some keep them for years, while others have no deletion policy at all, meaning they can retain them forever. For example, Jersey City deletes the records after five years, and Grapevine and Milpitas have no deletion policy. In contrast, the Minnesota State Patrol deletes records after 48 hours, and Brookline, Mass., keeps records for 14 days. Maine and Arkansas have passed laws prohibiting the police from retaining the license plate location records of innocent drivers for extended periods. The ACLU report released today has over a dozen specific recommendations for government use of license plate scanner systems, including: police must have reasonable suspicion that a crime has occurred before examining the data; unless there are legitimate reasons to retain records, they should be deleted within days or weeks at most; and, people should be able to find out if their cars’ location history is in a law enforcement database. License plate readers are used not only by police but also by private companies, which themselves make their data available to police with little or no oversight or privacy protections. One of these private databases, run by a company called Vigilant Solutions, holds over 800 million license plate location records and is used by over 2,200 law enforcement agencies, including the U.S. Department of Homeland Security. “Police departments should not use databases that do not have adequate private protections in place,” said Kade Crockford, director of the Technology for Liberty Project at the ACLU of Massachusetts.